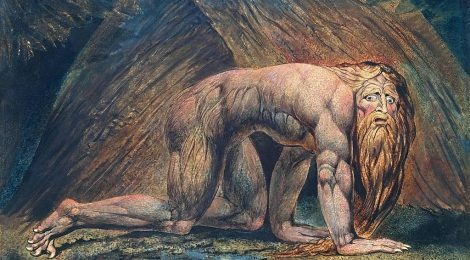 William Blake, an English poet and artist of the Romantic era, experienced visions throughout his life. Blake’s visions often contained religious themes and imagery and served as a source of inspiration for his works. 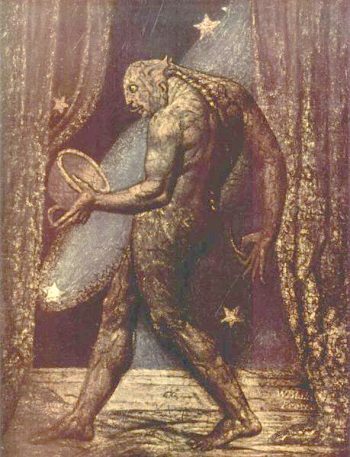 In 1819, Blake was persuaded by his friend John Varley, a painter and astrologer, to paint the apparition of a flea that appeared to him during a séance. The resulting artwork is titled The Ghost of a Flea and depicts a muscular and monstrous humanoid creature.